Organized in 1775, Darby Fire Co. No. 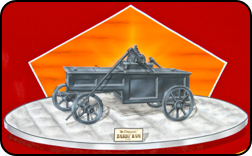 1 holds the distinction of being the oldest fire company in Delaware County, the second oldest in the entire Commonwealth of Pennsylvania and the fifth oldest in the United States. 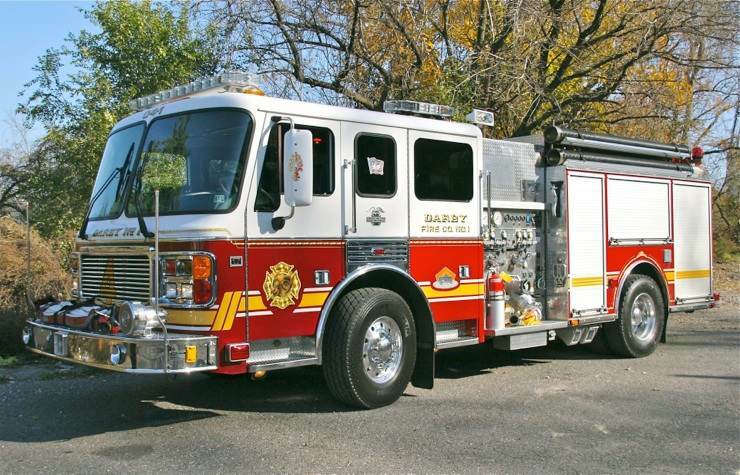 Serving the Borough of Darby with Fire & EMS protection, forty volunteers operating out of a single firehouse run two engines and a volunteer staffed BLS ambulance (one of the few remaining in the county). 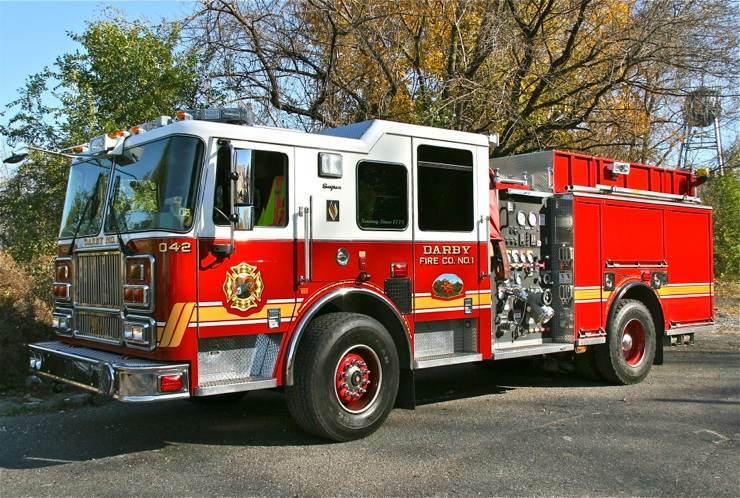 In conjunction with a career staffed medic unit, they respond to an average of 450 alarms annually including a considerable amount of working fires based on their border with the Southwest portion of the City of Philadelphia. Engine 04-2 - 2007 Seagrave 1500 gpm/750 gal. Engine 04-1 - 1999 American LaFrance 1500 gpm/750 gal. Special thanks to Lt. Daniel Traband Jr. for his assistance in positioning the apparatus for photos and providing background information on the department. Darby Fire Co. No. 1 maintains a rich history dating back to their organization in 1775 as the first volunteer fire company in Delaware County. In 1824, the company purchased a used rotary vane style hand engine for $250.00 from the A.D. Richmond Hydraulics Company in Philadelphia. 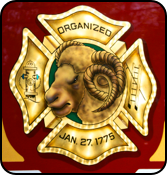 The first fire engine in Delaware County, it was nicknamed “The Ram” as the ram was the mascot of the woolen mills in Darby & the surrounding area. 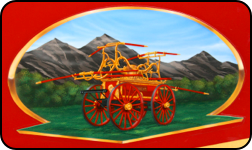 Later in 1872, a used horse drawn engine was purchased for $400.00 from the Shiffler Hose Co. which was disbanded upon the formation of Philadelphia’s career fire department. The “Schiffler”, a Philadelphia style double deck engine was operated by 10-12 men as a hydrant piece. It was transported using a team of horses provided by the company’s members who owned local farms - for trips to the far side of town, it was reportedly rolled down to the trolley tracks & attached to the trolley for transport. Darby Fire Co. No. 1 has maintained & restored both these apparatus to preserve their history (unfortunately both apparatus were stored off-site & not available to be photographed during my visit).